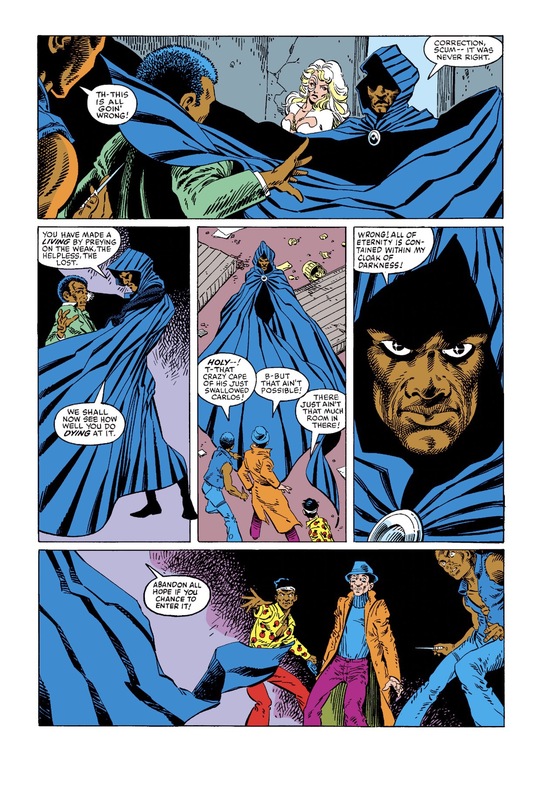 This is the first issue out of a 4 part limited series that was released in October 1983. 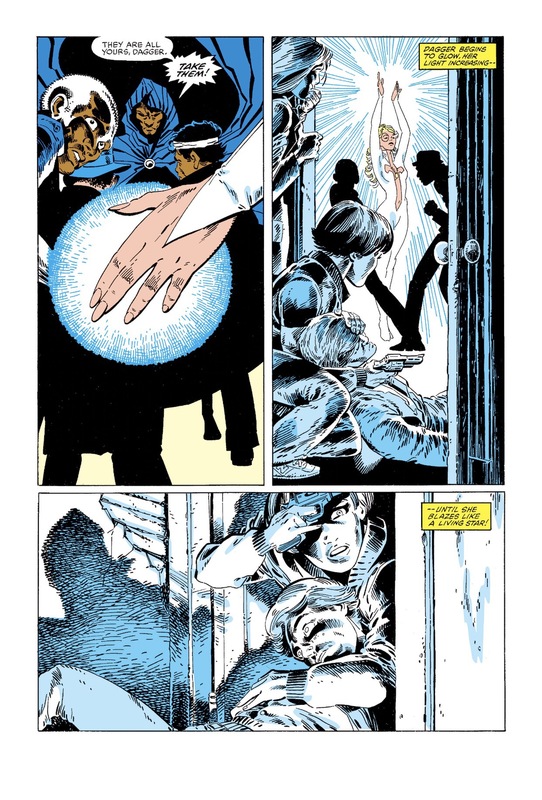 The duo originally appeared in Peter Parker, the Spectacular Spider-Man and after their limited series run, Marvel launched and ongoing bi-monthly series in 1985. First Lady Nancy Reagan speaking at a “Just Say No” Rally in Los Angeles, 1987. The series coincided with then First Lady Nancy Reagans “Just Say No” advertising campaign with The War on Drugs which was prevalent during the early 1980’s through the early 1990’s. 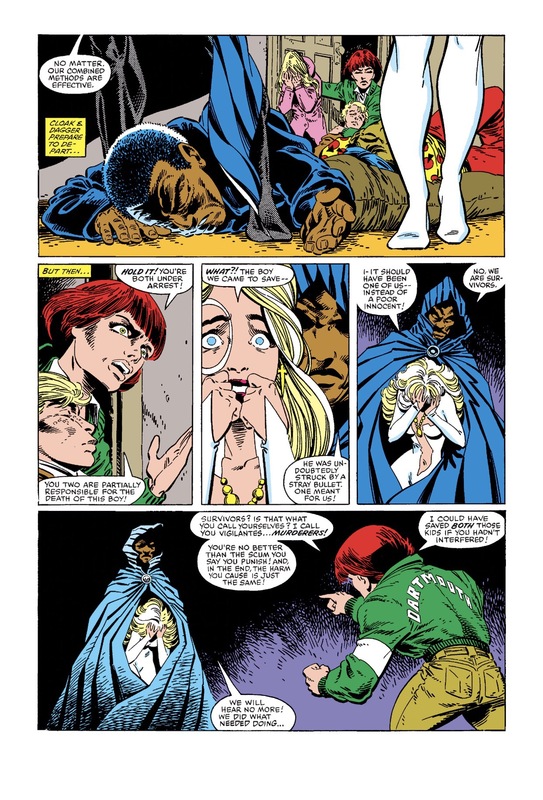 When you are reading through early Cloak and Dagger issues, it’ll be very rare that you’ll actually see a costumed super villain as the series largely focuses on the duo fighting to end the drug trade in their city. 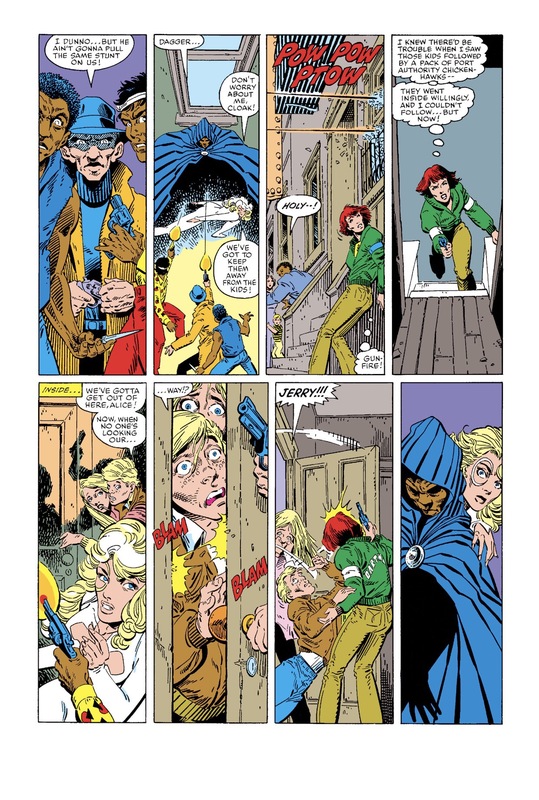 As the series progresses, you’ll start to see Cloak and Dagger team up with/and against Spider-Man numerous times, The New Mutants (it’s important to note that despite teaming up with The New Mutants, Cloak and Dagger are NOT mutants themselves, thier powers are the result of a drug injection) The Runaways, Captain America, Iron Fist, The New Avengers and The Uncanny X-Men. They have solo/joint appearances in The House of M storyline, Maximum Carnage, Civil War, Secret Invasion, Utopia and Spider-Island.